It was a great reunion and we hope you were one of the people who atteneded! You can now view photos of the 50th Reunion. The photos can be seen at Google Photos. You can also purchase the entire photo album on a thumb drive for $12 including postage. Expect 5 to 7 days delivery. Payment in advance is required. 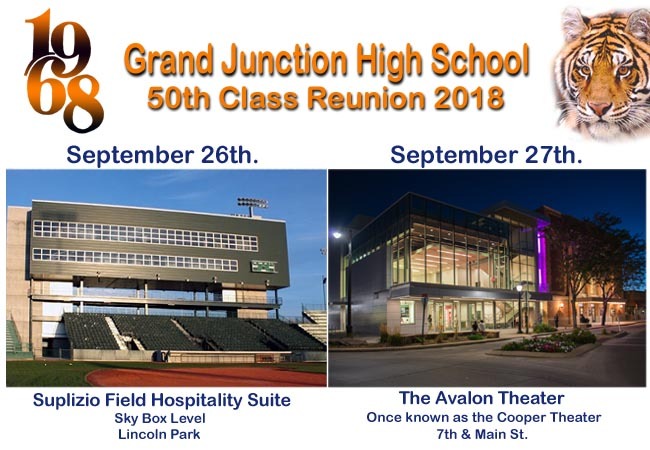 If you attended any of the events and took photos, you can upload those photos to an album specifically for "Classmate Reunion Photos". You will need to download the app to upload your photos from your phone. No app is needed to upload from your computer. We encouraged classmates to submit brief bios and they have been compiled in a .pdf file for viewing or downloading. "Click Here" to see the file. Please stay connected by letting us hear from you.